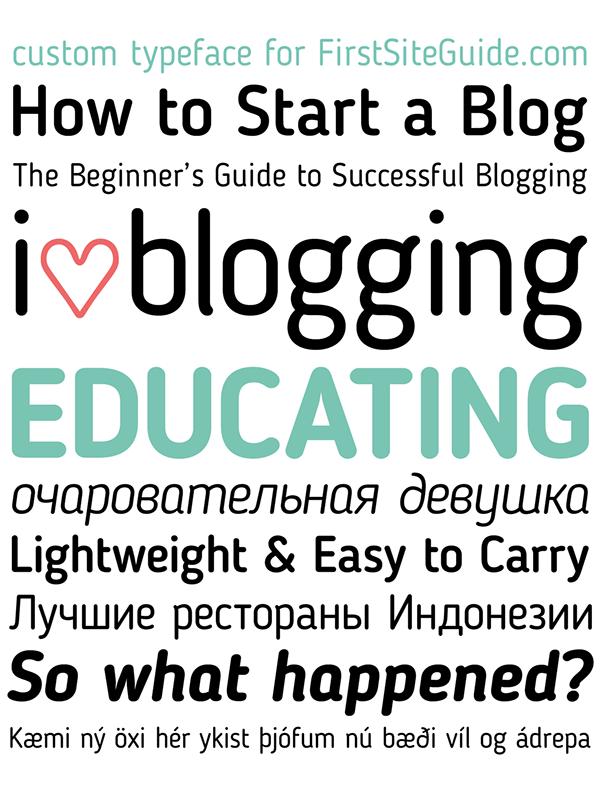 Blogger Sans Font was initially designed as the custom typeface for the FirstSiteGuide’s website: The Beginner’s Guide to Successful Blogging, primarily used for headings. FirstSiteGuide: Blogger Sans draws inspiration from the clarity and legibility of the popular font Dosis with an additional support of the lost Cyrillic languages. The bolder weights are lighter and softer. The following elements (-b-d-h-k-p-q-y-) are shorter, thus the headlines and subheads could be put in the dense line spacing. 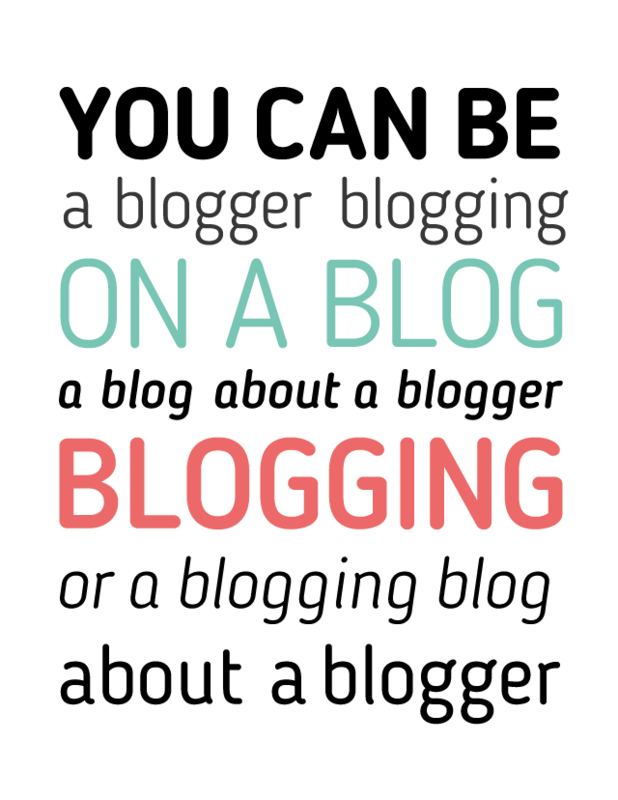 In addition the outline of the Blogger Sans is more smooth with better eligibility. Supporting languages: Albanian, Basque, Belarusian, Bosnian, Breton, Bulgarian, Catalan, Croatian, Cyrillic, Czech, Danish, Dutch, Esperanto, Estonian, Faroese, Finnish, French, Frisian, Galician, German, Hungarian, Icelandic, Italian, Lithuanian, Malagasy, Maltese, Norwegian, Polish, Portuguese, Romanian, Russian, Serbian, Slovak, Slovenian, Spanish, Swedish, Turkish, Ukrainian, Welsh (and more). 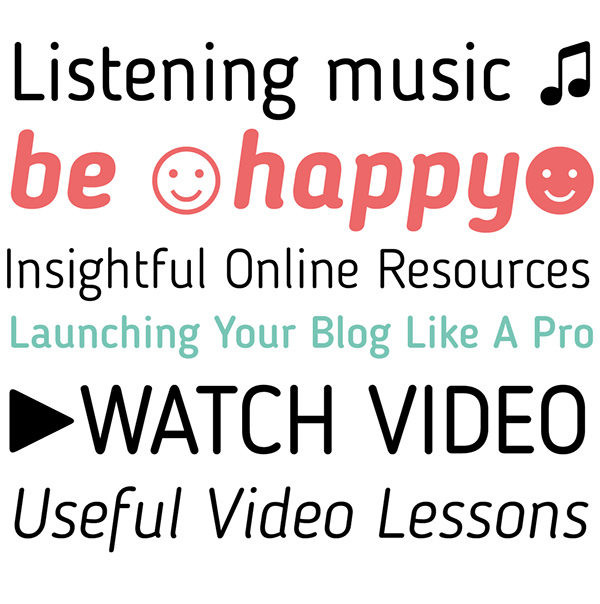 FirstSiteGuide have now kindly provided Blogger Sans Font as a free download, and free to use. 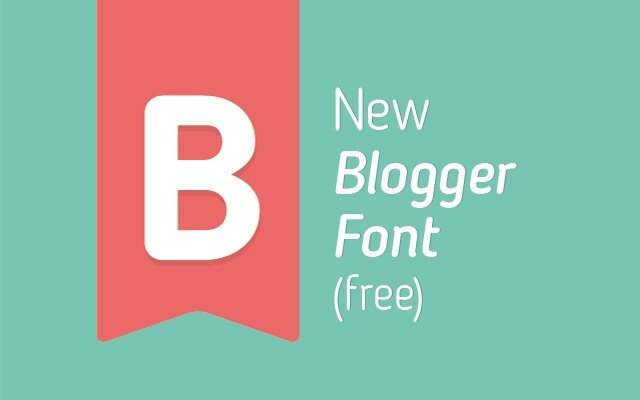 You are FREE to use it in any web design or blogging projects with one condition. The font is licensed under the Creative Commons Attribution 4.0 license. That means you are free to distribute, transform, fiddle with and build it into your work, even commercially. However, please always credit the original source of the font (in this case FirstSiteGuide team).